In April, news broke out about a super rare Hermès Birkin bag that was being auctioned by Christie’s Hong Kong. This specific style is made from the hide of the white Himalayan Niloticus crocodile and is encrusted with 245 diamonds. Yes, it’s as fancy as you can imagine—and nowhere near the spending abilities of a lot of people. 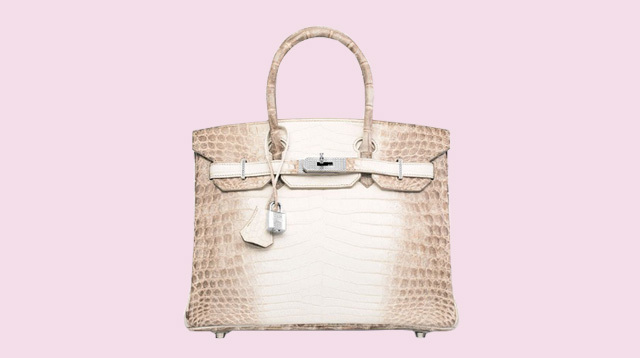 On May 30th, this particular Birkin was put on the auction block. And, according to Luxury Daily, it went to a private Asian collector for the selling price of—deep breath—$300,168. With the current exchange rate, that’s approximately P13.99 million. OMG!!! Of course, with experts believing Birkins are actually a better investment than gold or stocks, it’s not too difficult to see why people choose to collect them. They’re also a favorite among celebrities—the Kardashian and Jenners alone can probably keep the French design house afloat with all the Birkins they have.